A socially curated party play mix used to consist of people hauling their giant CD books around to parties. And then MP3’s came into play and made the process a bit more convenient (at least for the biceps). Today, we are about to introduce you to the next realm of social party play, called the Jukebox. 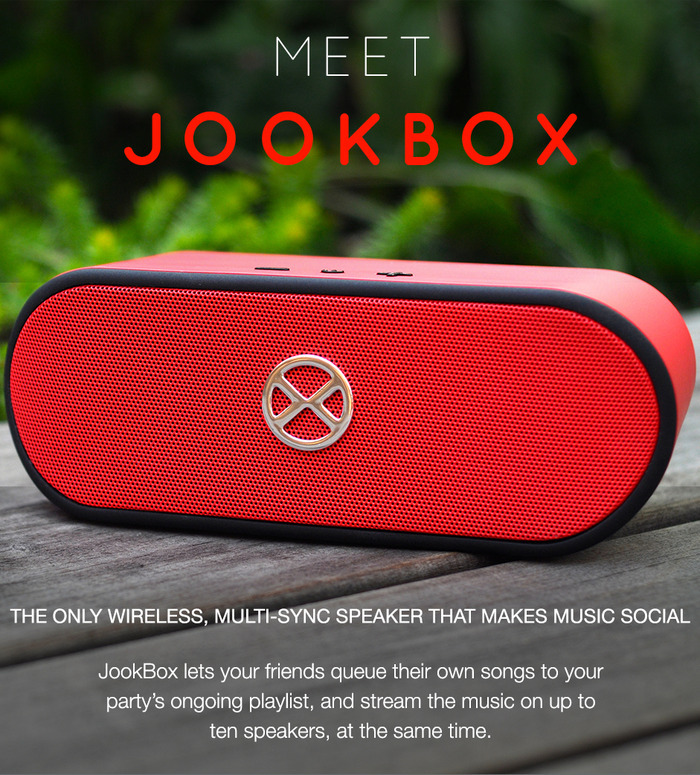 Beyond its 10-watts of power, 10-hours of wireless (wifi, Bluetooth) playback, water and shock-proof nature, and ability to stream music to up to 10 Jukebox’s simultaneously—this box allows any group of friends or party goers to create, add, and share their music lists wherever they go. You can also stream via your favorite services, including Spotify, Pandora and 8tracks. Get more details on Kickstarter.